There are several sounds associated with text messaging from your iPhone. 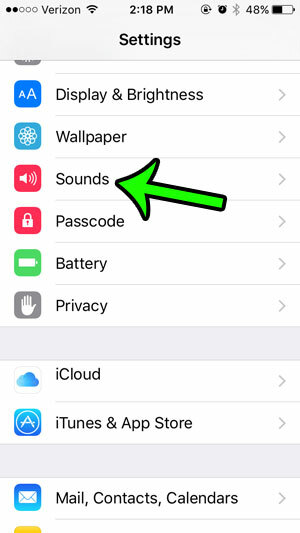 The first sound is the notification that you hear when you receive a new text message or iMessage. There are several default choices available to you as an iPhone owner, and there are more available for purchase. The second text message sound that you can control are the noises that play as you type a letter on your keyboard. The iPhone calls these sounds “Keyboard Clicks” and you can disable them if you find them to be a problem. 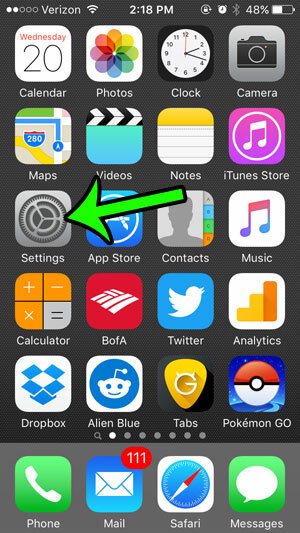 Our guide below will show you how to change both of these text message sounds on your iPhone. 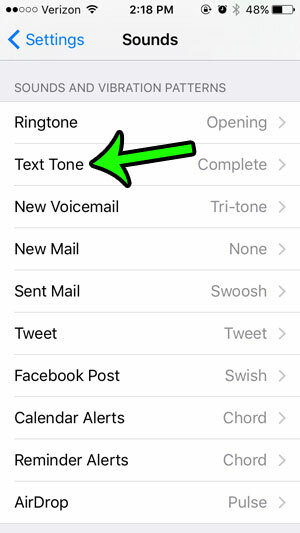 The steps in this section will show you how to change the sound that plays when you receive a new text message. 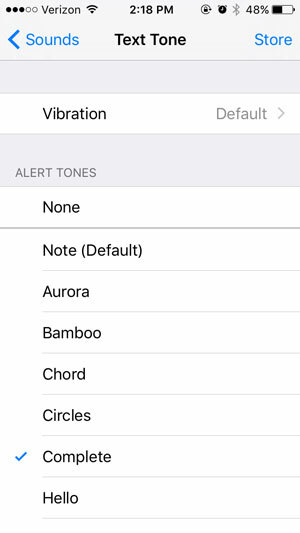 Step 3: Select the Text Tone option. Step 4: Select the sound that you wish to hear as you receive a new text message. Note that you will hear the sound play whenever you select a new one. The currently selected text message sound is the one with a blue check mark to the left of it. There is also a Vibration option on this screen if you would like to change the vibration pattern that plays as you receive a new text. You can choose to turn it off completely as well. The steps in this section will show you how to disable the keyboard clicks that you hear as you type a letter on the keyboard. 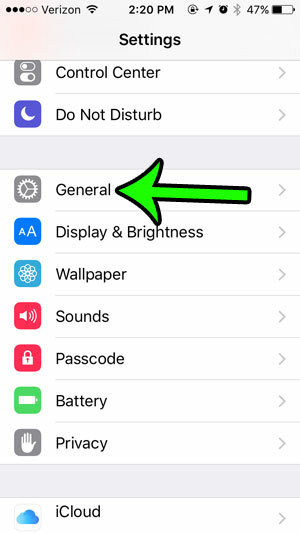 While we are specifically discussing turning off the keyboard sounds in the Messaging app, these steps will turn off the keyboard clicks in every app that uses the iPhone’s keyboard. Step 2: Open the Sounds menu. Step 3: Scroll to the bottom of this screen, then tap the button to the right of Keyboard Clicks. The clicks are turned off when there is no green shading around the button. They are turned off in the picture below. Do your contacts send you text messages containing little pictures, and you want to be able to use them, too? This article – http://www.ashevilleatc.com/get-emoji-keyboard-iphone-6/ – will show you how to add and use the Emoji keyboard on your iPhone. 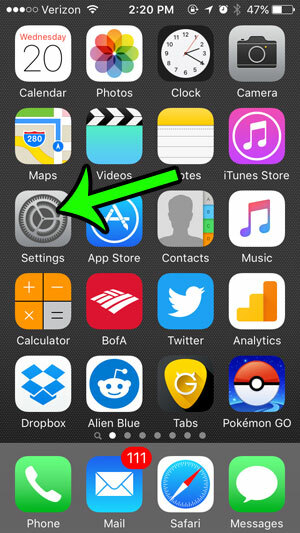 Why Won’t My iPhone Screen Rotate?